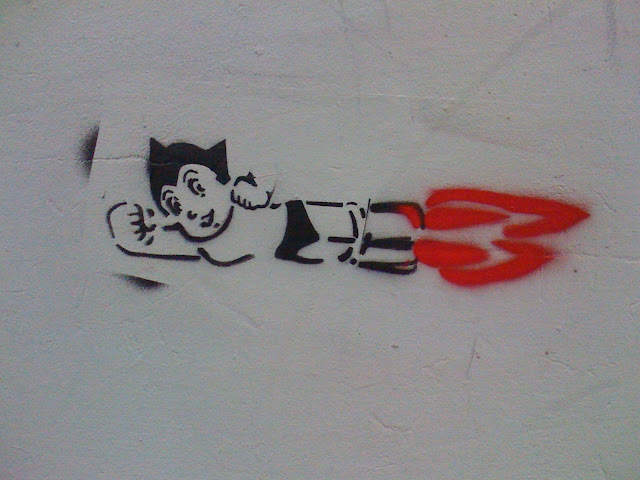 Saw this sweet stencil of Astro Boy as I walked from Central Station yesterday. It's simple but makes a statement instantly. The flames shooting from Astro Boys' boots look hot. His facial expression looks so Manga. His man breasts look so supple. Reminds me of the Astro Boy sculpture mounted outside Kyoto train station. 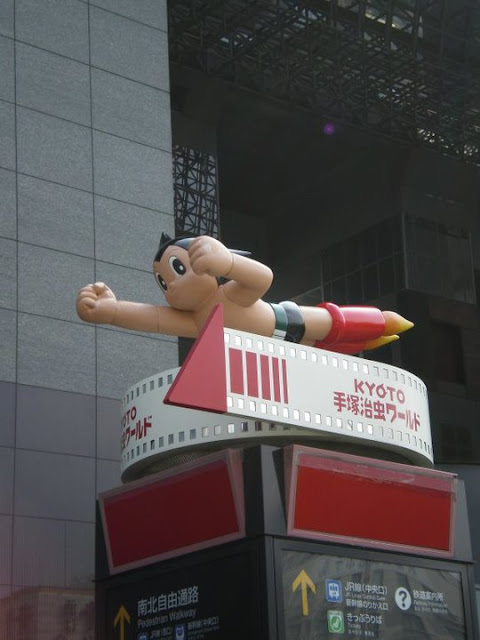 I didn't ask the Japanese Minister for Anime when I saw it, but this is almost definitely a state-sponsored Astro Boy. 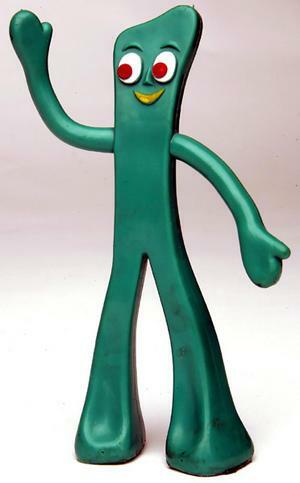 Could you imagine Gumby waving to you outside your local train station? Morning bagel (sesame seed, extra cream cheese please); check. Thanks for saying hi Marz. Glad to hear you like seeing the stencil here - because I enjoyed seeing it in Surry Hills.